Schools of nursing and midwifery list in Nigeria can be found below;. 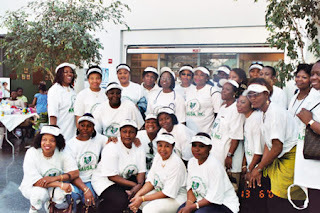 The Nursing and Midwifery Council of Nigeria is a parastatal of the Federal Government of Nigeria established by Decree 89 of 1979 of the Federal Republic of Nigeria and amended by Decrees No. 54 of 1988, No. 18 of 1989 and No. 83 of 1992. The Council is the only regulatory body for all cadres of Nurses and Midwives in Nigeria. Duration of Study One (1) calendar year. 5. Akwa-Ibom State School Of Nursing (S.O.N. ), St Lukes Hospital, Anua-Uyo. Annua Uyo, Akwa Ibom State. 6. School Of Nursing (S.O.N. ), Eket, Immanuel General Hospital Eket. Eket, Akwa Ibom State. 7. School Of Nursing (S.O.N. ), General Hospital, Ikot-Ekpene Ikot Ekpene, Akwa Ibom State. 8. Anambra State School Of Nursing (S.O.N. ), Ihiala, Our Lady Of Lourdes Hospital, Ihiala. Ihiala, Anambra State. 9. School Of Nursing (S.O.N. ), General Hospital, Nkpor Nkpor, Anambra State. 10. School Of Nursing (S.O.N.) N.A.U.T.H. Awka, Anambra State. 11. School Of Nursing (S.O.N. ), Iyi-Enu Hospital, Iyi-Enu Iyi Enu, Anambra State. 12. Bauchi State School Of Nursing (S.O.N. ), General Hospital, Bauchi Bauchi, Bauchi State. 15. School Of Nursing (S.O.N. ), Christian Hospital, Mkar Mkar, Benue State. 20. School Of Nursing (S.O.N. ), Eja Memorial Hospital, Itigidi., Itigidi, Cross River State. 23. School Of Nursing (S.O.N. ), General Hospital, Warri Warri, Delta State. 24. Ebonyi State School Of Nursing (S.O.N. ), Mater Misericordiae Hospital, Afikpo. Afikpo, Delta State. 26. School Of Nursing (S.O.N. ), University Of Benin Teaching Hospital, Benin City Benin City, Edo State. 29. School Of Nursing (S.O.N. ), Bishop Shanahan Hospital, Nsukka Nsukka, Enugu State. 30. School Of Nursing (S.O.N. ), Parklane Hospital, Enugu Enugu, Enugu State. 41. School Of Nursing (S.O.N. ), Kafanchan Kafanchan, Kaduna State. 43. Katsina State School Of Nursing (S.O.N. ), General Hospital, Katsina Katsina, Katsina State. 46. Kwara State School Of Nursing (S.O.N. ), Ilorin Ilorin, Kwara State. 48. School Of Nursing (S.O.N. ), Lagos University Teaching Hospital, Idi-Araba Idi-Araba, Lagos State. 49. School Of Nursing (S.O.N. ), Awolowo Road, Ikoyi Ikoyi, Lagos State. 52. School Of Nursing (S.O.N. ), General Hospital, Ijebu-Ode Ijebu- Ode, Ogun State. 53. School Of Nursing (S.O.N. ), General Hospital, Abeokuta Abeokuta, Ogun State. 54. Ondo State School Of Nursing (S.O.N. ), General Hospital, Akure Akure, Ondo State. 57. School Of Nursing (S.O.N. ), Obafemi Awolowo University Teaching Hospital (Wesley Guild Hospital), Ilesa Ilesa, Osun State. 59. School Of Nursing (S.O.N. ), State Hospital, Oshogbo Oshogbo, Osun State. 60. Oyo State School Of Nursing (S.O.N. ), Baptist Medical Centre, Saki Saki, Oyo State. 62. School Of Nursing (S.O.N. ), Eleyele, Ibadan Ibadan, Oyo State. 63. School Of Nursing (S.O.N. ), University College Hospital, Ibadan Ibadan, Oyo State. 64. Plateau State School Of Nursing (S.O.N. ), Christian Hospital, Vom Vom, Plateau State. 65. School Of Nursing (S.O.N. ), Murtala Mohammed Hospital, Jos Jos, Plateau State. 68. School Of Nursing (S.O.N. ), General Hospital, Sokoto Sokoto, Sokoto State. 69. Taraba State School Of Nursing (S.O.N. ), Jalingo Jalingo, Taraba State. 70. Yobe State School Of Nursing (S.O.N. ), General Hospital, Damaturu Damaturu, Yobe State. 4. Cross River State School Of Psychiatric Nursing, Calabar Calabar, Cross River State. 8. Sokoto State School Of Psychiatric Nursing, Kware Kware, Sokoto State. 4. Adamawa State School Of Midwifery (S.O.M. ), Yola Yola, Adamawa State. 5. Akwa-Ibom State School Of Midwifery (S.O.M. ), Ituk-Mbang Ituk-Mbang, Akwa Ibom State. 6. School Of Midwifery (S.O.M. ), Urua-Akpan Urua-Akpan, Akwa Ibom State. 8. School Of Midwifery (S.O.M. ), Anua-Uyo Annua-Uyo, Akwa Ibom State. 16. Borno State School Of Midwifery (S.O.M. ), Maiduguri Maiduguri, Borno State. 20. Delta State School Of Midwifery (S.O.M. ), Sapele Sapale, Delta State. 21. School Of Midwifery (S.O.M. ), Asaba Asaba, Delta State. 22. Ebonyi State School Of Midwifery (S.O.M. ), Afikpo Afikpo. Ebonyi State. 24. School Of Midwifery (S.O.M. ), St. Philomena's Hospital, Benin City Benin City, Edo State. 26. School Of Midwifery (S.O.M. ), Benin city Benin City, Edo State. 28. Ekiti-State School Of Midwifery (S.O.M. ), Ado-Ekiti Ado-Ekiti, Ekiti State. 29. Enugu State School Of Midwifery (S.O.M. ), Bishop Shanahan Hospital, Nsukka Nsukka, Enugu State. 31. School Of Midwifery (S.O.M. ), Awgu Awgu, Enugu State. 32. F. C. T. Abuja School Of Midwifery (S.O.M. ), Federal Capital Territory, Abuja Abuja, FCT. 33. Imo State School Of Midwifery (S.O.M. ), Emekuku Emekuku, Imo State. 34. School Of Midwifery (S.O.M. ), Aboh-Mbaise Aboh-Mbaise, Imo State. 35. School Of Midwifery (S.O.M. ), Awo-Omamma Awo-Omamma, Imo State. 36. Kaduna State School Of Midwifery (S.O.M. ), Wusasa Wusasa, Kaduna State. 37. School Of Midwifery (S.O.M. ), Zonkwa Zonkwa, Kaduna State. 38. School Of Midwifery (S.O.M. ), Ahmadu Bello University Teaching Hospital, Kaduna Kaduna, Kaduna State. 39. School Of Midwifery (S.O.M. ), Kafanchan Kafanchan, Kaduna State. 41. Katsina State School Of Midwifery (S.O.M. ), Katsina Katsina, Katsina State. 44. Kwara State School Of Midwifery (S.O.M. ), Ilorin Ilorin, Kwara State. 45. Lagos State School Of Midwifery (S.O.M. ), Lagos University Teaching Hospital., Idi-Araba Idi-Araba, Lagos State. 46. School Of Midwifery (S.O.M. ), Awolowo Road, Ikoyi Ikoyi, Lagos State. 47. School Of Midwifery (S.O.M. ), Nigerian Army Hospital Yaba Yaba, Lagos State. 48. Nassarawa State School Of Midwifery (S.O.M. ), Lafiya Lafiya, Nassarawa State. 50. Ogun State School Of Midwifery (S.O.M. ), Abeokuta, Oba Ademola Ii Hospital, Abeokuta Abeokuta, Ogun State. 52. Ondo State School Of Midwifery (S.O.M. ), Akure Akure, Ondo State. 56. School Of Midwifery (S.O.M. ), Faculty Of Health Sciences, Obafemi Awolowo University, Ile-Ife Ile-Ife, Osun State. 63. School Of Midwifery (S.O.M. ), Murtala Mohammed Hospital, Jos Jos, Plateau State. 64. School Of Midwifery (S.O.M. ), Vom Vom, Plateau State. 65. Rivers State School Of Midwifery (S.O.M. ), Port Harcourt Port Harcourt, Rivers State. 66. Sokoto State School Of Midwifery (S.O.M. ), Sokoto Sokoto, Sokoto State. School of Nursing @ Anua in Akwa Ibom, is the form out? Where is the form sold?